In the most recent edition of the Journal of Psychology and Christianity, an edition edited by Alan Tjeltveit, I have a paper entitled "Love in the Laboratory." In the paper I try to tease out some empirical issues from the theological perspectives presented in the edition, issues that might guide future research. The theological perspectives on love in the volume include papers from Catholic, Lutheran, Wesleyan and Pentecostal scholars. There is also a biblical studies perspective. The thing that I focused on in the paper is how tensions and conflicts exist between the three different loves. For example, members of a place like Westboro Baptist Church think they are loving God in being hateful to their gay neighbors. Conversely, liberal Christians are often excellent in loving their neighbors by focusing on social justice but evangelical critics argue that the liberals have dismissed loving God in, for example, honoring God's Word. There's also a tension between the Humanistic and Therapeutic loves. Specifically, when is a focus on the self a form of self-care versus a form of selfish self-absorption? When we are wounded and hurting there is a time for therapeutic inwardness, a time for healing and renewal. But there is also a time to move out of your comfort zone. A time of opening outward toward others and allowing the boundaries to become blurred in making ourselves more available to others. 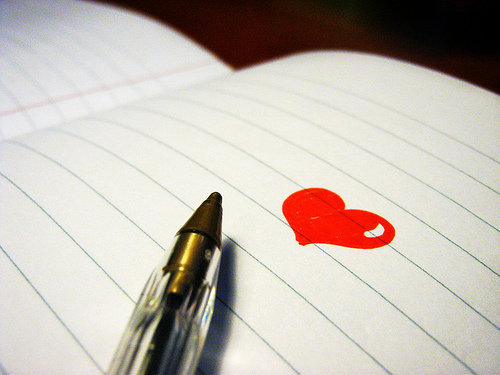 All that to say that loving isn't easy or obvious. 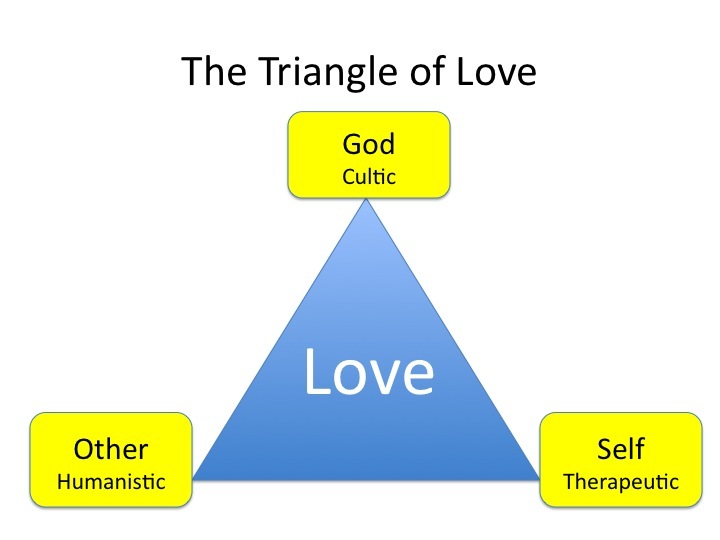 Much of the Christian life is spent navigating the intricacies and negotiating the conflicts within the Triangle of Love. If I've accurately followed your themes over the past year, it would seem that "therapeutic" love overrides "humanistic" love when the fear of death creeps in, resulting in selfishness. Such actions, of course, may not even qualify as therapeutic love. To me, self-absorption and a selfish withdrawing "to heal" does not represent any kind of beneficial self-therapy, but a inadequate coping mechanism to stressful situations. That said, not all withdrawing is selfish. Jesus needed time alone, so there is clearly a time for therapeutic introspection. As a good counselor once told me, "Differentiation is maintaining a sense of self, while in staying in relation to others." In other words, some people and situations will test our ability to love them but we can stay calm in their presence (humanistic love) by being introspective and calming our own emotions (therapeutic love). Ever since Unclean, where I started to take on the therapeutic issue of "boundaries," I've been mulling this issue over. When is it okay to say "yes" to the self and "no" to others? My sense is that in many churches Christianity has become so therapeutic that it has, in essence, been reduced to self-care. A quick example. I recall many years ago someone at my church saying they needed to go to a spa so they could practice the spiritual discipline of "Sabbath." No doubt there are times when we get so stressed and run down that we need to get away and unplug. As you note, Jesus did this. But there's something fishy going on when we start indulging ourselves under the label of "spiritual discipline." I'm trying to puzzle out the fine line here. Very interesting perspective on love. Love the insight. I've always loved your push-back regarding boundaries. I especially find it interesting that many Christian therapists and therapies have clung to this notion of maintaining "healthy boundaries." I was relieved to hear that I wasn't the only one who had these thoughts. Anyway, I like to frame it in a bit of a developmental spectrum. For example, for some, that pervasive notion of healthy boundaries is appropriate in regards to their ability to engage with others healthily. Someone further down this developmental spectrum may have a sense of self that is much more solidified and mature, therefore, they can maintain engaging deeply with others for longer periods of time without losing their sense of self/identity. The main problem, in my mind, is that the pervasive understanding of "healthy boundaries" is at an elementary level or beginning end of the spectrum rather than something that is a bit more mature and deeply-rooted. Indeed, this pervasive understanding of healthy boundaries is akin to a spiritual milk that we continually offer people rather than providing milk to babes and substantive meat and potatoes of an engaged and interdependent self/identity to adults. We need to diversify our menu and engage people where they are at whether just starting off or learning the deep and subtle truths of what it takes to be a faithful follower of Christ. Great article, it's helpful to me, and I also like the useful info about sterling silver pendant.This reading mother of pearl pendant article is definitely eye-opening and inspiring.If you get a chance pop up by my page, maybe you would like cultured freshwater pearl. I like the article, with its abstraction of Cultic, Humanistic and Therapeutic. The presence or reality (or simply the presentation by Jesus) of a three-mode model suggests something wholistic that under its fullest expression finds that each reinforces the other. That is, one might rest (loving oneself) by getting away by oneself to pray and meditate (cultic love) that in turn refreshes and strengthens the individual for the work of Humanistic Love. 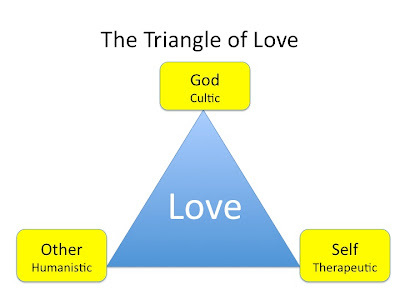 The expression of Humanistic Love becomes an expression of Cultic Love, and the service involved strengthens the spirit of the individual in a form of Therapeutic Love. Further, Christianity could argue that within the expression of Love that is Jesus, our ability to engage in the full expression of Cultic Love is complete, and with it, our ability to love fully in the Humanistic and Therapeutic is redeemed and made possible. The above probably needs work (if it is valid at all), but so your article suggests to me. I believe many who doubt "self love" and are despondent or depressed will find great solace and encouragement when they make the choice to "love the neighbour" by finding ways to be of service to other, whether to strangers, friends or family. Sometimes, when one least feel like giving or helping, the willful choice to do exactly that will enhance and strengthen one's inner self. Further, when that happens, it also will prompt a sense of the transcendent, and stimulate a "love of God" as one realizes that there is more than meets the eye in terms of the path to peace and contentment. The false "wisdom" of cocooning, of wallowing in despondency when one's energy has gone, is seen to be foolishness. The true wisdom of dying to self and serving others is revealed, and can lead to humble worship and acknowledgment that Gd is indeed present, and active in sustaining both self and neighbour.